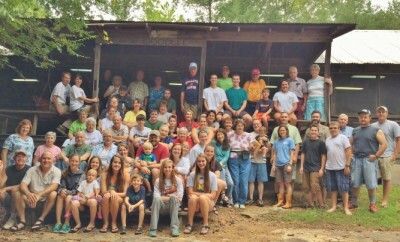 What Is Tennessee 4-H Congress? 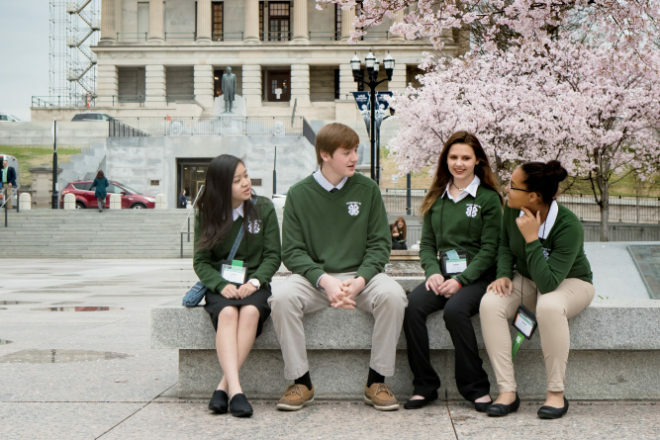 Thanks to Tennessee 4-H Congress, young people across the Volunteer State have opportunities to learn more about government, citizenship and leadership in unique, engaging ways – and often, those opportunities lead to newfound interests that help shape their futures. 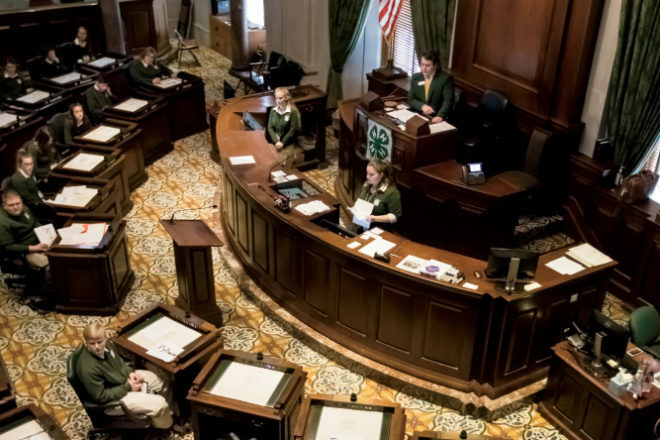 Tennessee 4-H Congress has taken place since 1948, and since then, it’s given more than 35,000 4-Hers and volunteer leaders the chance to experience state government firsthand. Held in March, the three-day event begins on a Sunday with an opening assembly that is led by the three 4-H Congress officers elected the previous year – the Governor, Speaker of the House and Speaker of the Senate – and is followed by the Congress Pageant, which features the Tennessee 4-H Performing Arts Troupe and tells the story of the state’s past, present and future through song and dance. On Sunday night, a regional caucus is held to nominate next year’s officer candidates. 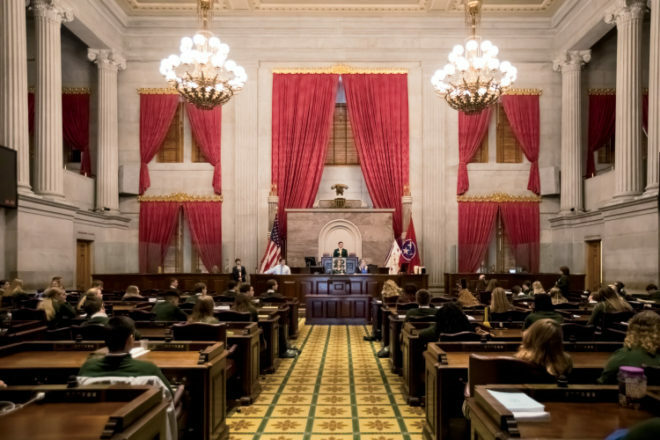 Monday morning, students take buses to Tennessee State University’s downtown Nashville campus for educational workshops, and they also have the opportunity to visit the state capitol and vote on bills written by their peers while sitting in the chambers where their county’s elected representatives convene. Monday’s activities also include legislative visits, giving students a chance to meet and speak with the state’s senators and representatives, and at night, 4-H Congress officer candidates present their campaign speeches. 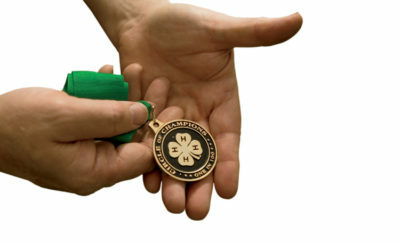 On Tuesday, the 4-H History Bowl takes place, which is moderated by Lelan Statom – a former 4-H member and Emmy-winning senior meteorologist on NewsChannel 5 in Nashville – along with a patriotic program presented by the 118th Wing, a unit of the Tennessee Air National Guard stationed at Nashville’s Berry Field Air National Guard Base. Students also participate in a service project that differs each year, and after all delegates have cast their votes, the new 4-H Congress officers are announced. 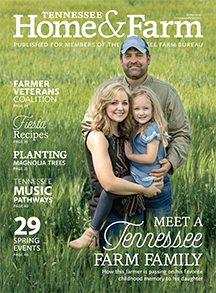 The event ends Tuesday evening with a ride on the General Jackson Showboat and a formal banquet, where the next year’s officers are sworn in and Tennessee 4-H Public Speaking Contest winners share their speeches. 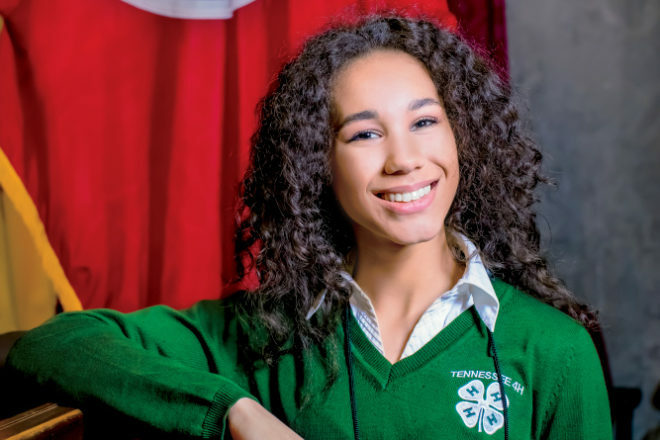 This 2018 Tennessee 4-H Congress Speaker of the House, 16-year-old Chloé Ragland, didn’t have an interest in government or politics prior to attending 4-H Congress – but like many of her peers, that all changed once she got involved and learned more about the legislative process. Claire Brooks, the 2018 4-H Congress Speaker of the Senate, had a similar experience. 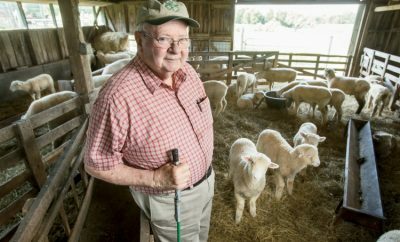 Although the 15-year-old member of the Warren County 4-H Senior Honor Club says she’s always been interested in leadership, she didn’t know much about governmental processes and procedures, and it was through attending 4-H Congress that she realized the impact she could make as an elected official.